BHP Group is currently changing its logo at Brookfield to reflect its name change. Photo: Gabriel Oliveira. 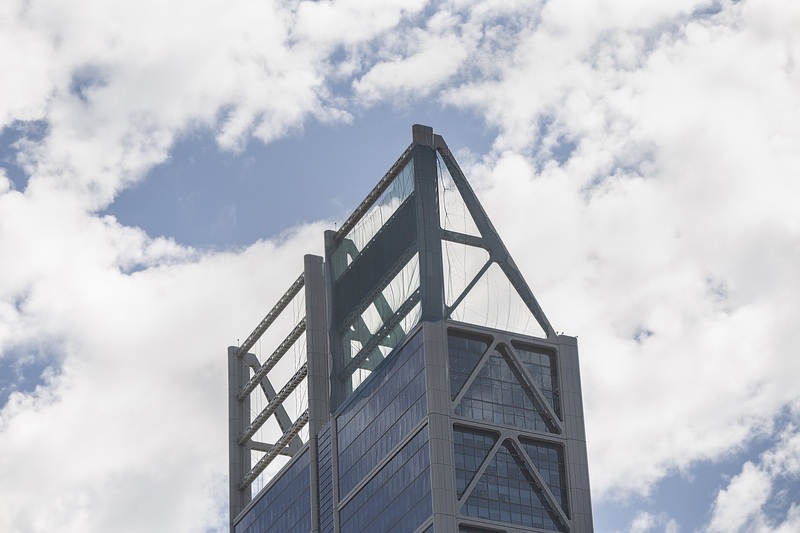 The replacement of the logo at the top of Perth’s second tallest skyscraper has commenced, after BHP Group changed its name from BHP Billiton in November.